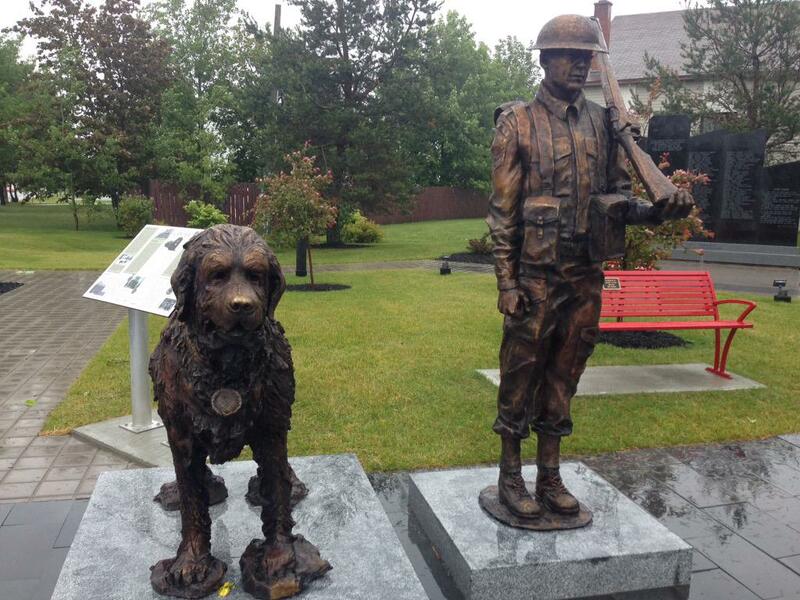 A legendary military dog known as Sergeant Gander has been honored by a statue in his name at Gander Heritage Memorial Park, NL, Canada. 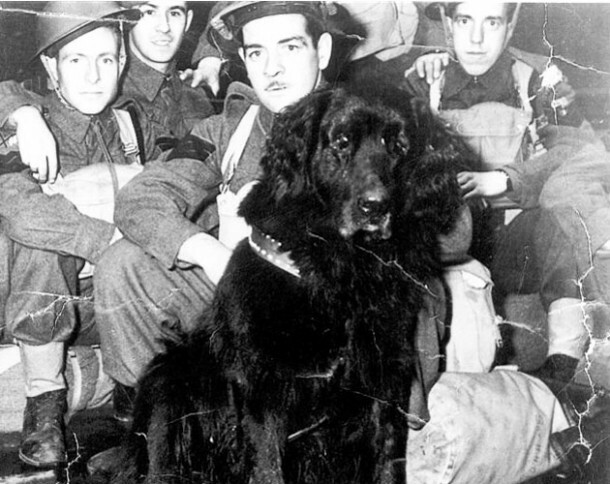 During his life, Sergeant Gander was the loyal mascot and companion of the Royal Rifles of Canada (RRC) force, which was sent to Hong Kong during WWII to prevent it from Japanese invasion. From the outset, Gander was always very protective of his human comrades, frequently chasing Japanese troops away from wounded Canadians. On December 8, 1941, Gander saved seven human lives by picking up a Japanese grenade which had landed near his friends and running off with it in his mouth – an act which saved the men, but tragically led to his own death. Sergeant Gander would have done anything for his companions – even lay down his life. At the insistence of surviving Hong Kong veterans, this loyal dog’s name was added to the Hong Kong Veterans Memorial Wall in Ottawa. He also received a prestigious PDSA Dickin Medal in honor of his bravery. And now he has been honored further, with the unveiling of two new statues in the Memorial Park: one of Sergeant Gander himself, and one of a RRC soldier, to represent the men who served alongside him. Both were designed by local sculptor Morgan McDonald. His bravery has now been immortalized for all future generations to see. Thank you for your courage, Sergeant Gander, and rest in peace.